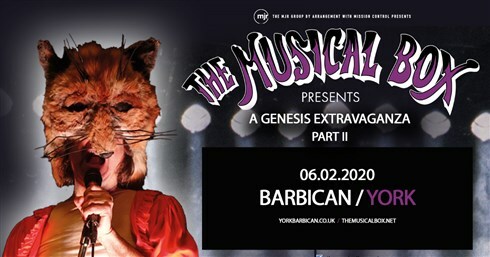 Acclaimed for its historical re-enactment of early Genesis, The Musical Box has performed for more than a million spectators worldwide in some of the most prestigious venues such as The London Royal Albert Hall and The Paris Olympia. The Musical Box had the privilege of hosting Phil Collins and Steve Hackett as performing guests. In its quest for authenticity, The Musical Box is often cited as the best interpretation group in the world and the international reference for early Genesis. Tickets on sale Monday 18th March 2019 at 10am.